A lawyer, Mr A. 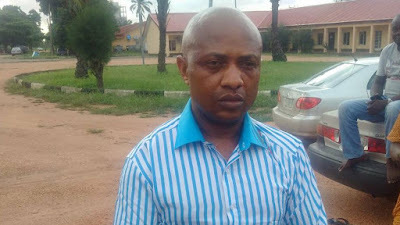 A. Uzokwu, yesterday, accused alleged kidnap kingpin, Chikwudumeme Onwiamadike, alias Evans of frustrating his ongoing trial by not securing the services of a lawyer. Uzokwu is the counsel to Okwuchukwu Nwachukwu, who is the fifth defendant in the trial. Evans, who is standing trial before an Ikeja High Court alongside five other co-defendants, appeared in court for the 3rd time yesterday without his counsel. Evans’ co-defendants are Uche Amadi, Ogechi Uchechukwu, Chilaka Ifeanyi and Victor Aduba. At the resumed hearing of the trial, Uzokwu said: “The first defendant is playing games. This same scenario played out before your learned brother, Akinlade J, on Wednesday. The 1st defendant also appeared in court without any legal representation. That was the third adjournment granted in the instance of the 1st defendant“I don’t know why they don’t have any legal representation. “They are playing games and My Lord has to assist us. We urge the court to invoke sections 233 on the defendants which allow the court to appoint counsels for the defendants in this circumstance so that they would stop playing this kind of games. If they also wish, they also have the option of representing themselves.